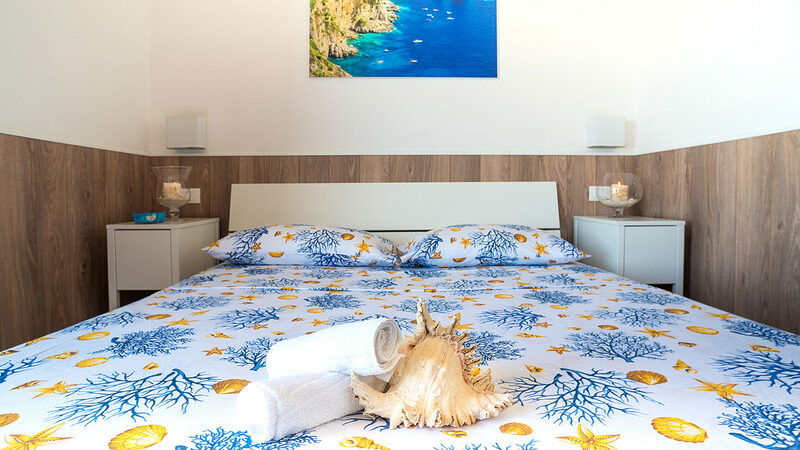 Tramonto sul mare is a newly restored modern B&B situated 50 metres from the beach in Salerno. It is the ideal choice for those looking for everyday comforts and reasonable prices. Our rooms are large and bright, each with a large balcony and wonderful views over the Gulf of Salerno and the sea front. All rooms have air conditioning, a double bed, a large wardrobe, a TV and DVD player, and an ensuite bathroom with a shower or a bath, a sink and a hairdryer. Linen is changed every two days but can be changed daily upon request. Breakfast is served iether in the room or in the dining room. In the summer season you can enjoy breakfast on the balcony whilst admiring the views of Salerno and sea front.